Chandler Stoneworks design, manufacturer and install bespoke kitchen worktops and surfaces in the Hove area. Our small dedicated team of kitchen designers and stone masons have over 10 years experience in creating stunningly beautiful kitchen workspace areas. Only using the finest materials we are capable of creating you the kitchen of your dreams from stone such as granite, marble, slate and quartz. 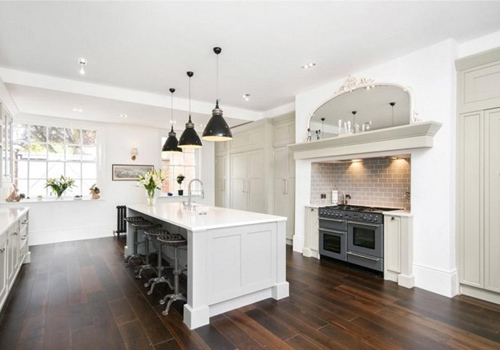 In addition to kitchen worktops and surfaces Chandler Stoneworks also design and install Fireplace surrounds, Flooring and Tiling in the Hove and surrounding areas. Our specialist team of designers and mason stone cutters are dedicated to providing you and your home the very best service possible. When we are onsite we great care in the installation process including laying down sheets and cleaning any mess made after the installation is completed. Call Chandler Stoneworks on 01903 885941 for a free, no obligation estimate or to discover our extensive range of kitchen worktops, fireplaces, flooring and tiles we have to offer.